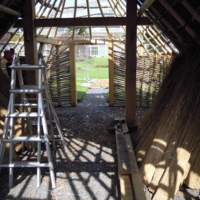 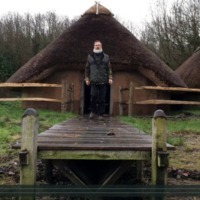 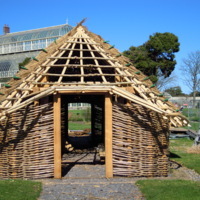 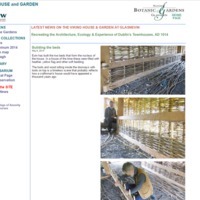 Video by Vimeo user Philip BromwellforRTÉ about theconstruction of the Viking House and Garden at the National Botanic Gardens, Dublin (Recreating the Architecture, Ecology & Experience of Dublin's Townhouses, AD 1014). 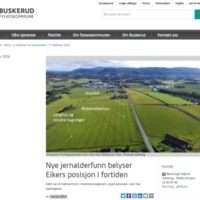 Eiker was a centre of power in the Drammen region during the Late Iron Age, as is shown by these new finds. 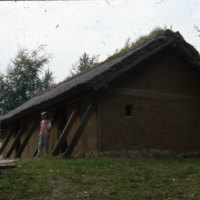 Surveys using georadar show that there are the remains of several structures in the area, including a 30m long longhouse. 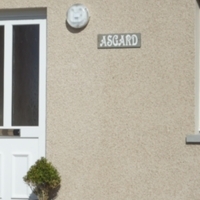 It is quite common to find house names with references to Norse myth in areas with a strong connection to Norse heritage - this example is from Kirkwall in Orkney. 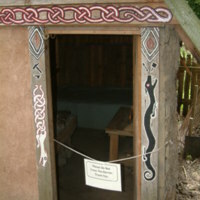 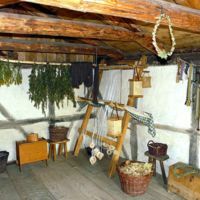 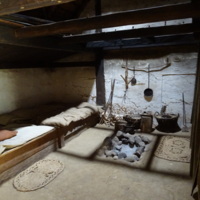 A reconstructed farm based on the excavated remains found at Stöng. 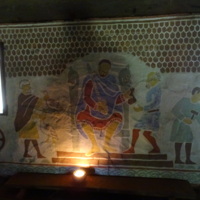 It is open to visit in the summer. 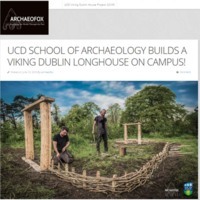 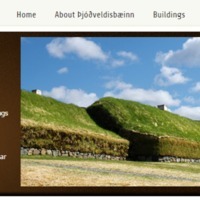 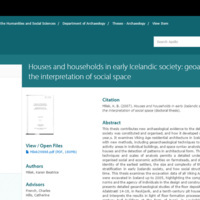 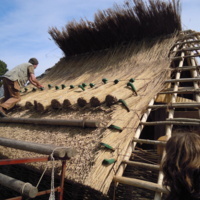 A description of building a Viking house based on the archaeological evidence from Dublin. 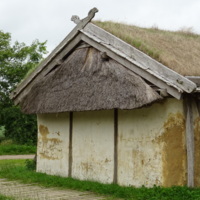 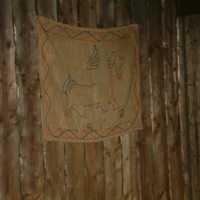 Foteviken Museum is a living history museum with a recreated Viking town.